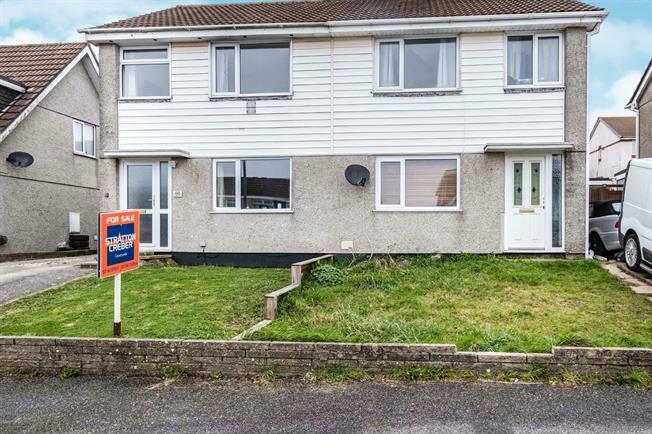 2 Bedroom Semi Detached House For Sale in St. Austell for Asking Price £174,950. FORMERLY THREE BEDROOMS A recently refurbished and beautifully presented semi-detached house in a popular residential area. Formerly a three bedroom house which has been reconfigured to now offer two larger bedrooms with walk-in dressing room. Spacious living room opening to the dining room, re-fitted kitchen and wet room/ shower room. Gardens front and rear and ample off street parking.